Everyone feels that the management of God is strange, because people think that the management of God is completely unrelated to man. They think that this management is the work of God alone, is God’s own business, and so mankind is indifferent to the management of God. In this way, the salvation of mankind has become vague and indistinct, and is now nothing but empty rhetoric. Even though man follows God in order to be saved and enter the beautiful destination, man has no concern for how God conducts His work. Man does not care for what God plans to do and the part he must play in order to be saved. How tragic that is! The salvation of man is inseparable from the management of God, much less can it be divorced from the plan of God. Yet man thinks nothing of the management of God, and thus grows ever more distant from God. 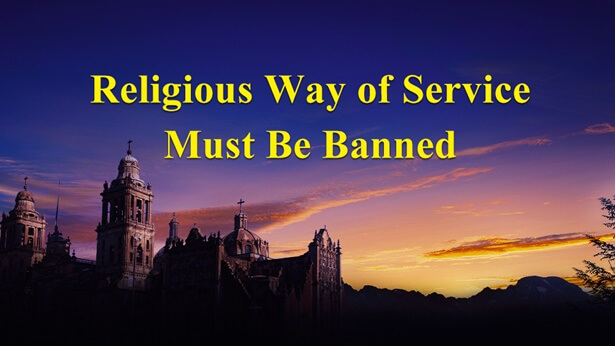 Consequently, increasing numbers of people are becoming followers of God who don’t know things that are closely related to the salvation of man such as what creation is, what belief in God is, how to worship God, and so on. At this point, then, we must have a talk about the management of God, so that each follower may clearly know the significance of following God and believing in Him. They will also be able to choose the path that they should tread more accurately, instead of following God solely to gain blessings, or avoid disaster, or become successful. Although the management of God may seem profound to man, it is not incomprehensible to man, for all the work of God is connected to His management, is related to the work of mankind’s salvation, and concerns the life, living, and destination of mankind. The work that God does among and on man is, it can be said, very practical and meaningful. It can be seen by man, experienced by man, and is far from abstract. If man is incapable of accepting all the work that God does, then what is the significance of this work? And how can such management lead to man’s salvation? Many of those who follow God are only concerned with how to gain blessings or avoid disaster. At the mention of the work and management of God, they fall silent and lose all interest. They believe that knowing such tedious questions will not grow their lives or be of any benefit, and so although they have heard messages about the management of God, they treat them casually. And they do not see them as something precious to be accepted, much less do they receive them as part of their lives. Such people have one very simple aim in following God: to gain blessing, and they are too lazy to attend to anything that doesn’t involve this aim. For them, believing in God to gain blessings is the most legitimate of goals and the very value of their faith. They are unaffected by anything that cannot achieve this objective. Such is the case with most of those who believe in God today. Their aim and motivation seem legitimate, because at the same time as believing in God, they also expend for God, dedicate themselves to God, and perform their duty. They give up their youth, forsake family and career, and even spend years busying about away from home. For the sake of their ultimate goal, they change their interests, alter their outlook on life, and even change the direction they seek, yet they cannot change the aim of their belief in God. They run about for the management of their own ideals; no matter how far the road is, and no matter how many hardships and obstacles there are along the way, they stick to their guns and remain fearless of death. What power makes them continue to dedicate themselves in this way? Is it their conscience? Is it their great and noble character? Is it their determination to do battle with the forces of evil to the very end? Is it their faith in which they bear witness to God without seeking recompense? Is it their loyalty for which they are willing to give up everything to achieve the will of God? Or is it their spirit of devotion in which they’ve always forgone personal extravagant demands? For people who have never known the work of God’s management to give so much is, quite simply, a wondrous miracle! For the moment, let us not discuss how much these people have given. Their behavior, however, is highly worthy of our analysis. Apart from the benefits that are so closely associated with them, could there be any other reason for these people who never understand God to give so much to Him? In this, we discover a previously unidentified problem: Man’s relationship with God is merely one of naked self-interest. It is the relationship between the receiver and giver of blessings. To put it plainly, it is like the relationship between employee and employer. The employee works only to receive the rewards bestowed by the employer. In a relationship like this, there is no affection, only a deal; there is no loving and being loved, only charity and mercy; there is no understanding, only resignation and deception; there is no intimacy, only a gulf that cannot be bridged. When things get to this point, who is able to reverse such a trend? And how many people are capable of truly understanding how desperate this relationship has become? I believe that when people immerse themselves in the joyousness of being blessed, none are able to imagine how embarrassing and unsightly such a relationship with God is. The saddest thing about mankind’s belief in God is that man conducts his own management amidst the work of God and is heedless of God’s management. Man’s biggest failure lies in how, at the same time as seeking to submit to God and worship Him, man is constructing his own ideal destination and calculating how to receive the greatest blessing and the best destination. Even if people understand how pitiable, hateful, and pathetic they are, how many are there who could readily abandon their ideals and hopes? And who is able to halt their own steps and stop thinking only of themselves? God needs those who will cooperate closely with Him and complete His management. He requires those who will devote their mind and body to the work of His management in order to submit to Him; He does not need people who will hold out their hands and beg from Him every day, much less does He need those who give a little and then wait to be repaid the favor. God despises those who make a small contribution and then rest on their laurels. He hates those cold-blooded people who resent the work of His management and only want to talk about going to heaven and gaining blessings. He has an even greater loathing for those who take advantage of the opportunity presented by the work He does in saving mankind. That’s because these people have never cared about what God wishes to achieve and acquire through the work of His management. They are only concerned with how they can use the opportunity provided by the work of God to gain blessings. They are uncaring of God’s heart, being wholly preoccupied with their own future and fate. Those who resent the work of God’s management and have not the slightest interest in how God saves mankind and His will, are all doing what pleases them independent of the work of God’s management. Their behavior is not remembered by God, is not approved of by God, much less is it looked upon with favor by God. How many creatures are there living and reproducing in the vast expanse of the universe, following the law of life over and over, adhering to one constant rule. Those who die take with them the stories of the living, and those who are living repeat the same tragic history of those who have died. And so mankind can’t help but ask itself: Why do we live? And why do we have to die? Who is in command of this world? And who created this mankind? Was mankind really created by Mother Nature? Is mankind really in control of its own fate? … For thousands of years mankind has asked these questions, over and over again. Unfortunately, the more that mankind has become obsessed with these questions, the more of a thirst he has developed for science. Science offers brief gratification and temporary enjoyment of the flesh, but is far from sufficient to free mankind of the solitariness, loneliness, and barely-concealed terror and helplessness deep within his soul. Mankind merely uses scientific knowledge that the naked eye can see and the brain can comprehend to anesthetize his heart. Yet such scientific knowledge cannot stop mankind from exploring mysteries. Mankind does not know who is the Sovereign of all things in the universe, much less does he know the beginning and future of mankind. Mankind merely lives, perforce, amidst this law. None can escape it and none can change it, for among all things and in the heavens there is but One from everlasting to everlasting who holds sovereignty over everything. He is the One who has never been beheld by man, the One whom mankind has never known, in whose existence mankind has never believed, yet He is the One who breathed the breath into mankind’s ancestors and gave life to mankind. He is the One who supplies and nourishes mankind for its existence, and guides mankind up to the present day. Moreover, He and He alone is whom mankind depends on for its survival. He holds sovereignty over all things and rules all living beings beneath the universe. He commands the four seasons, and it is He who calls forth wind, frost, snow, and rain. He gives mankind sunshine and brings the coming of night. It was He who laid out the heavens and earth, providing man with mountains, lakes and rivers and all the living things within them. His deed is everywhere, His power is everywhere, His wisdom is everywhere, and His authority is everywhere. Each of these laws and rules is the embodiment of His deed, and every one of them reveals His wisdom and authority. Who can exempt themselves from His sovereignty? And who can discharge themselves from His designs? All things exist beneath His gaze, and moreover, all things live beneath His sovereignty. His deed and His power leave mankind with no choice but to acknowledge the fact that He really does exist and holds sovereignty over all things. No other thing apart from Him can command the universe, much less can it ceaselessly provide for this mankind. Regardless of whether you are able to recognize the deed of God, and irrespective of whether you believe in the existence of God, there is no doubt that your fate lies within the ordination of God, and there is no doubt that God will always hold sovereignty over all things. His existence and authority are not predicated upon whether or not they can be recognized and comprehended by man. Only He knows man’s past, present and future, and only He can determine the fate of mankind. Regardless of whether you are able to accept this fact, it will not be long before mankind witnesses all of this with his own eyes, and this is the fact that God will soon bring to bear. Mankind lives and dies under the eyes of God. Mankind lives for the management of God, and when his eyes close for the final time, that is also for the very same management. Over and over again, man comes and goes, back and forth. Without exception, it is all part of the sovereignty and designs of God. The management of God is always going forward and has never ceased. He will make mankind aware of His existence, trust in His sovereignty, behold His deed, and return to His kingdom. This is His plan, and the work that He has been conducting for thousands of years. When God does His work, He always quietly leaves one place while softly carrying out the new work He begins in another place. This seems incredible to people, who are benumbed. People have always treasured the old and regarded new, unfamiliar things with enmity, or seen them as a nuisance. And so, whatever new work God does, from the start to the very end, man is the last to know of it among all things. As has always been the case, after the work of Jehovah in the Age of Law, God began His new work of the second stage: assuming the flesh, being incarnated as man for ten, twenty years, and speaking and doing His work among believers. Yet without exception, no one knew, and only a small number of people acknowledged that He was God become flesh after the Lord Jesus was nailed to the cross and resurrected. Problematically, there appeared one called Paul, who set himself in mortal enmity to God. Even after he was struck down and became an apostle, Paul’s old nature did not change, and he wrote many epistles. Unfortunately, later generations took his epistles as the words of God to be enjoyed, to the extent that they were included in the New Testament and confused with the words spoken by God. This is truly a big disgrace since the advent of Scripture. And wasn’t this mistake committed due to the foolishness of man? Little did they know that, in the records of God’s work in the Age of Grace, epistles or spiritual writings of man simply should not be there to impersonate the work and words of God. But this is beside the point, so let’s return to our original topic. As soon as the second stage of God’s work was completed—after the crucifixion—God’s work of recovering man from sin (which is to say, recovering man from the hands of Satan) was accomplished. And so, from that moment onward, mankind had only to accept the Lord Jesus as the Savior for his sins to be forgiven. Nominally speaking, the sins of man were no longer a barrier to his achieving salvation and coming before God and were no longer the leverage by which Satan accused man. That is because God Himself had done real work, had become in the likeness and foretaste of sinful flesh, and God Himself was the sin offering. In this way, man descended from the cross, being redeemed and saved thanks to the flesh of God, the likeness of this sinful flesh. And so, after being taken captive by Satan, man came one step closer to accepting salvation before God. Of course, this stage of work was the management of God that was one step on from the Age of Law, and of a deeper level than the Age of Law. The love and compassion of God permeates each and every detail of His management work, and regardless of whether people are able to understand God’s good intentions, He is still tirelessly doing the work that He intends to accomplish. Irrespective of how much people understand of the management of God, the benefits and assistance of the work done by God can be appreciated by everyone. Perhaps, today, you have not felt any of the love or life provided by God, but as long as you do not abandon God, and do not give up on your determination to pursue the truth, then there will always be a day when God’s smile will be revealed to you. For the aim of the work of God’s management is to recover the mankind who is under the domain of Satan, not to abandon the mankind who has been corrupted by Satan and opposes God.